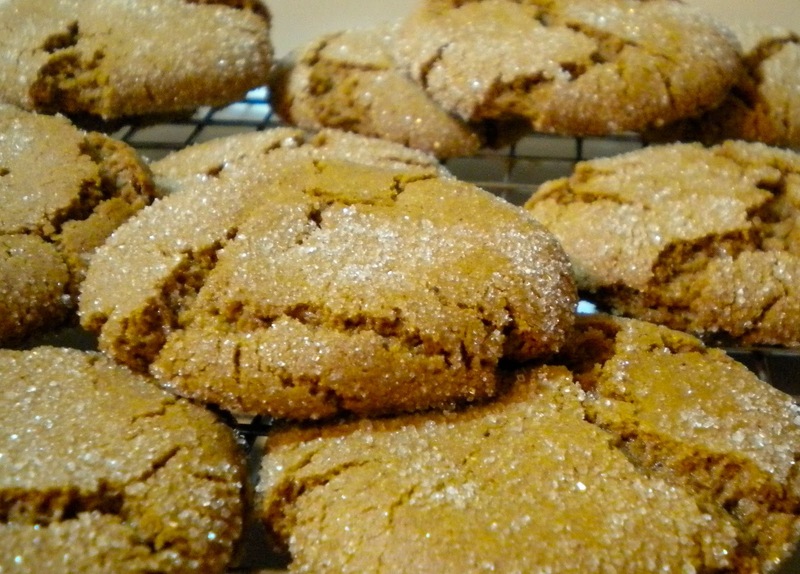 Holiday Cookies from my First Cookbook | We Like to Cook! As the holidays quickly approach, I have started gathering up my favorite cookie recipes. They are like old friends that I only see once a year. On my list are "Molasses Crinkles" from my very first cookbook: Betty Crocker's New Boys and Girls Cookbook. 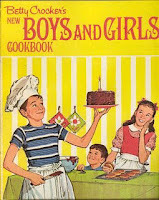 You can tell which recipes were my favorites growing up because the pages are a bit stained from youthful mishaps. Flipping through the pages, I am transported back to 1975. The campy illustrations and pictures are familiar and comforting like a vintage quilt, and the taste of these spicy cookies evoke childhood memories of holidays past! Mix shortening, brown sugar, molasses and egg thoroughly in large bowl. Stir in dry ingredients except for the granulated sugar. Cover and refrigerate the dough for at least 2 hours or overnight. Preheat oven to 375°F and grease the cookie sheet. Shape the dough into 1 1/4-inch balls and roll them in the granulated sugar. Place balls 3 inches apart on the cookie sheet. Sprinkle each with 2 or 3 drops of water (I use a mister and lightly mist the tray.) Bake cookies for 10 to 12 minutes or just until set but not too hard. Remove from the cookie sheet to a wire rack to cool. Serve with hot chocolate! No. 99 in Saveur's Top 100. You go girl.